In honor of St. Patrick's Day next week, I decided to dedicate this week to being green. Not the color (wouldn't that be funny?) but in the lifestyle. Being more eco-conscience is something we can all do to take better care of the planet for our ourselves and for future generations. It can save us some money in the long run too, which is always a good thing. 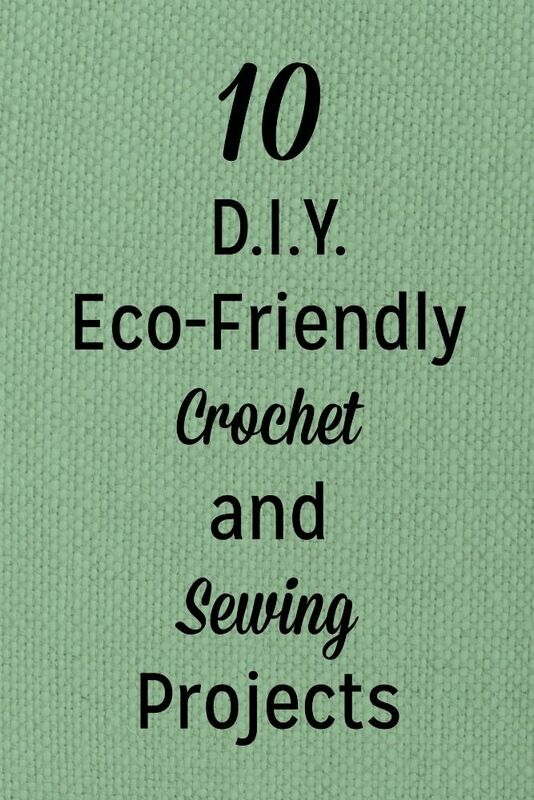 These are simple projects if you can crochet or sew to help out the environment and become less wasteful. Hope they can inspire you! 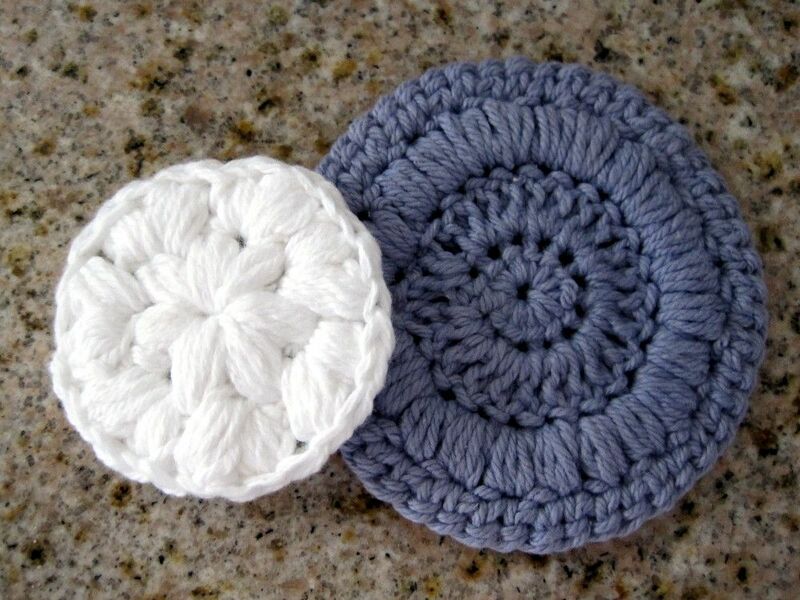 Puff Stitch Cotton Pads from What You Sow: Stop buying those cotton balls and pads and whip up a set of these reusable ones made from cotton yarn. These ones are soft and fluffy because they are done using the puff stitch. Easy Face Scrubbies from The Stitchin' Mommy: Pre-moistened and one-time use face pads and wipes are so wasteful. These pads are perfect for cleansing your face, and you can just toss them in the wash after using. 15 Minute Coffee Sleeve from Frayed Knot: These cute coffee sleeves are a great alternative to the cardboard sleeves. 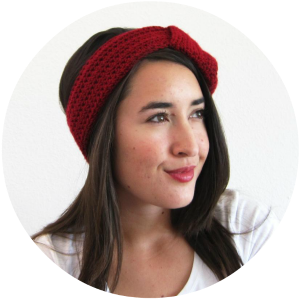 While it'd still be better to bring your own mug or thermos to the coffee shop, these are perfect for keeping in your purse for those impromptu afternoon pick-me-ups. Felted Wool Dryer Balls from Pretty Stitches: Wool dryer balls soften and reduce static cling without harmful chemicals. This is instructions for felting them, plus a link to a crochet or knit version. Reversible Swiffer Sock from Make Zine: I love Swiffers' for the convenience, but honestly it seems a bit wasteful to throw away the pads after each use. These pads have two sides for dusting and for damp cleaning. 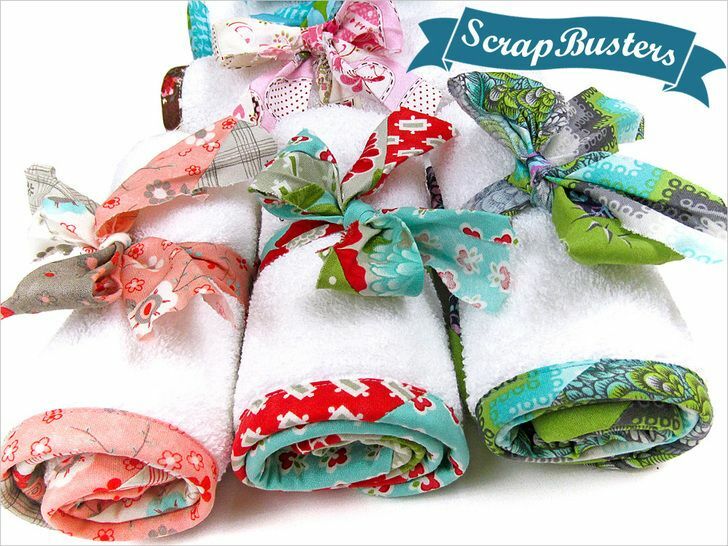 Patchwork Bound Washcloths from Sew4Home: This project is green because it uses fabric scraps and re-uses old bath towels. The result is super cute! I think they'd make great kitchen rags too. Unpaper Towel Tutorial from Cat Eyed KP: All it takes is some cotton fabric and terry or old towels to kick your paper towel buying habit. Mitered Napkins from Nicole's Classes: Do you still use paper napkins in your house? While they still have their place for picnics and BBQs, make your kitchen a paper free zone by sewing up a bunch of cloth napkins. Set them out on the counter in a napkin holder for easy access. Insulated Lunch Sack from Sew Mama Sew: Do you or your kids take sack lunches to work or school? Ditch the brown paper sacks and make a cute reusable one. It's insulated and water-resistant, so your lunch stays cold and the bag prevents any leaks from ruining your day. Reusable Sandwich and Snack Bags from Merriment Design: Plastic snack bags may be convenient, but they sure are wasteful. Sew some washable and reusable bags from food safe fabrics.